From the 1880s to the 1950s, the Chinese cities of Harbin and Shanghai were host to communities of Armenians. The backgrounds of these Chinese-Armenians, their socio-economic developments, the links to their identity, and the sudden disbanding of their communities as a result of the communist takeover of China, have to date been relatively understudied. 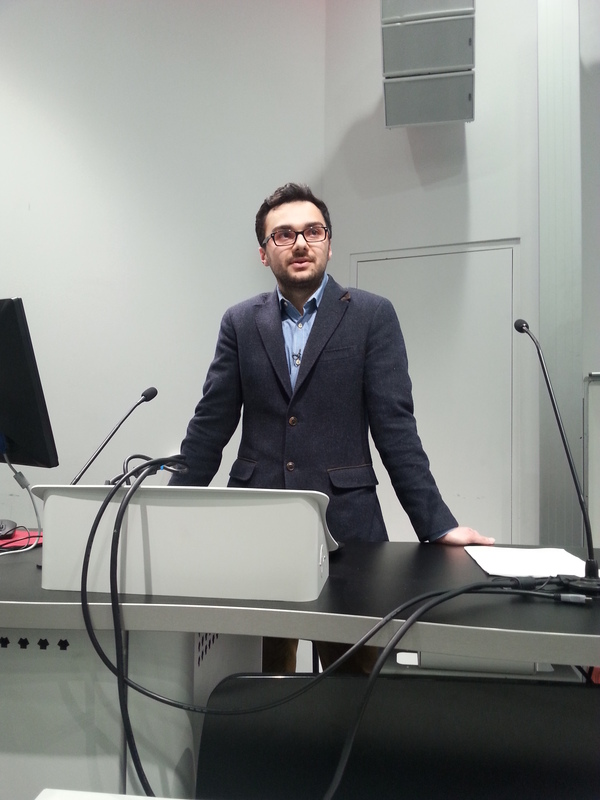 The Programme of Armenian Studies was therefore delighted to host Dr Khatchig Mouradian in London, to speak on this topic at a lecture chaired by Leon Aslanov of the Programme of Armenian Studies. In 2014, after receiving the Calouste Gulbenkian Armenian Studies research fellowship to study the Armenian community in China, Dr Mouradian conducted extensive archival research and interviews in China, Armenia, and the US. It was the resulting report which laid the basis for the lecture given. Dr Mouradian noted that he is currently working on an edited book on the subject. Dr Mouradian began his lecture entitled Don’t fall off the Earth: The Armenian Communities in China with a quote from Reverend Asadour Yeghoyan writing from Kharpert (Harput, Ottoman Empire) to his brother in Boston: “Krikor, you travelled all around the world, now you know by experience that the world is round, take care that you do not fall off it.” These prophetic words followed Krikor who, upon his return to Kharpet, was caught up in the tumult of the First World War, which pushed him eastwards to China in an attempt to return to the US. This quote presented the theme of escaping violence in the Caucasus, and traversing the world to China in the hopes of reaching the US like hundreds of other Armenians who came to call China home. However, many were to remain in China for decades and establish communities. The makeup of the Armenian communities in China was rather different from the merchant class of the previous century. Instead, as Dr Mouradian noted, the new incoming waves of Armenian families, starting with those coming from Imperial Russia in the late 19th Century, were either the children of railway labourers, or families fleeing violence and searching for hope through emigration. Initially the Armenian labourers and merchants formed the core of these communities in small numbers, no more than a few dozen at a time. Armenians who worked on the Chinese-Russian railways began to settle in the Manchuria region, a key reason for the initial arrival of Armenians to North Eastern China. The initial arrival of merchants and railway workers is contrasted to the later waves of Armenians arriving as a result of crossing Asia in the hope of reaching a safer location: the Americas. Dr Mouradian focussed his research on the two main cities where Armenians settled, specifically Harbin and Shanghai. Harbin’s transformation into the “crossing place of cultures”, with the largest Russian diaspora in the world, came about thanks to its interconnectivity arising from the Trans-Siberian Railway. Migrating Armenians began to flourish in this developing city, and by the 1930s there were close to 500 Armenians living in the city. The city of Manzhouli which housed a developing Armenian community was emptied of these Armenian inhabitants in 1925. Soon thereafter, Harbin hosted 150 Armenian families, a rich mix of Armenians of various socio-economic backgrounds and histories. Armenians managed to achieve great socio-economic success, especially in opening and expanding businesses during their time in China. This was especially true of the generation of Armenians born in the country. Armenian-owned businesses ranged from footwear, bakeries, hotels, chocolate factories, rug factories and other similar industries. These entrepreneurs were also key to the communal development of the Armenians. Their donations were significant in the creation, recreation, maintenance, and development of the Armenian communities. In terms of community development, Dr Mouradian expounded that ‘key figures’ were the important drivers and maintainers of an Armenian presence. He argues that these ‘key figures’ who dedicated their time and effort to establishing choirs, women’s relief groups, youth groups, and maintaining community centres, were the foundations of the local Armenian communities. The Armenian Relief Society, set up in 1910, was also important in the establishment of cafes, theatres, bars, and gardens. The entrepreneur Meltikyan, helped set up an Armenian youth group and a small Armenian library, organising shipments of books from Boston, in the USA, and rug factory owner Karagheuzian was responsible for providing much needed aid for the incoming Armenian refugees. In fact, feelings of duty to help fellow Armenian compatriots fleeing from the Genocide, and the Bolshevik takeover was a central motivation for many of these key figures. The motif of identity also greatly affected the Chinese Armenians. Yervant Markaryan is quoted recounting his life experiences describing how he was born outside of his fatherland in China while not being ethnically Chinese, and how he fought for the French in Indochina, but nevertheless named all of his restaurants Kavkaz. The carrying of the term Kavkaz around the world through his entrepreneurial ventures highlights Markaryan’s longing for his Armenian identity. In fact, this affected many Chinese-Armenians, and Dr Mouradian stressed that the name “Kavkaz” was a means for such diasporas to reconnect with their identity, with the memory of their homeland during their sojourn abroad. A sense of national identity and patriotism towards an Armenian state was inculcated within the Armenian communities in China. One point which Dr Mouradian found telling of the creation of Armenian diaspora communities around the world was the style and substance of speeches given at public community events: Rostomiants said “Remember you were born Armenian and will die Armenian”, a line clearly aimed at preventing total assimilation, encouraging the conservation of Armenian identity, culture, and heritage. Moreover, the strength of the Armenian community, and its adherence to religious and cultural celebrations was epitomised by the celebration of Vartanants in Harbin under occupation, during World War II. The gathering of the community into one space and the detailed programme of events provided an opportunity for local Armenian businesses to advertise, make contacts, and establish the community’s roots even deeper. Dr Mouradian also highlighted the incredibly important role played by the church in the Armenian communities of China. He cited Rostomiants, a ‘key figure’ in the community, who affirmed that the church in Harbin was crucial as it would ensure that “new generations would go ahead and lead productive lives and always keep their identity through their faith, their church, and their nation”, illustrating the interconnectivity between the different aspects of identity which forms the bond between the Armenian people and their nation. Whilst community life was centred around the church in Harbin, in Shanghai, where no such Armenian church existed, a converted two-storey apartment took on this role. Many of these incoming refugees were allowed to lodge in the second house, and on Sundays the hall doubled up as a church hall, complete with weekly Armenian lessons. In order to prevent a romanticised vision of purely wealthy Armenian merchants, Dr Mouradian stated that the stories of Armenians of different socio-economic backgrounds must be remembered. He expressed, for example, that there were, indeed, a few Armenians died on the streets of Shanghai in starvation. This indicates the academic danger of blandly labelling these diaspora communities as composed of monolithic wealthy families. An interesting point raised by Dr Mouradian concerned the arrival of American-Armenian soldiers in 1945 with the armed forces of the USA. Many took the time to locate and visit the community centre in Shanghai, and meet with local Chinese-Armenians. These relationships flourished, and soldiers would often be invited into Chinese-Armenian homes to eat and take naps. 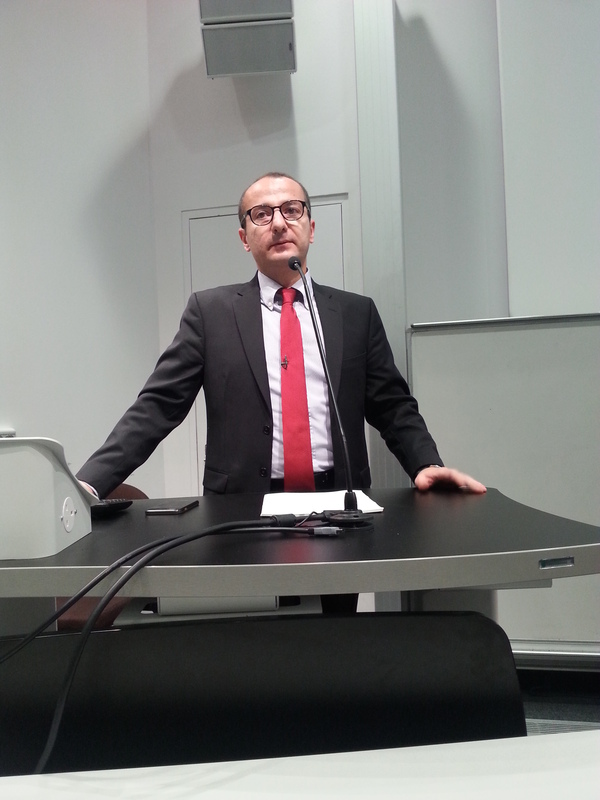 Interestingly, through a rigorous interrogation of the sources, Dr Mouradian was able to find links between a few names (Henry Karanian and Krikor Sadoian) that were repeated in various letters from the period, and Dr Mouradian detailed anecdotal accounts of meeting their families whilst presenting this talk in the US. The end of the Armenian communities in China was brought about by the communist takeover in China in 1949, which prompted an exodus of Christian minorities from the main cities and the Country. Ten years after the takeover, there were next to no Armenians left in Harbin or Shanghai; most had emigrated to Armenia, the USA, Australia, and South America. Many were able to take advantage of their contact with the American-Armenian soldiers to locate family members in the USA. Established families, such as the Markaryans, who owned a restaurant, sold their holdings at a fraction of their true price and fled. Dr Mouradian explained that many families embarking on such journeys were happy to be leaving; he cited the testimony of Hagop Shabas’ daughter Elyse, a Chinese-Armenian, who described her last years in China as if “we were POWs there”. Still, many Chinese-Armenian families, as well as Elyse, who left upon the communist takeover recounted their fond memories of East Asia, visiting the Great Wall of China, the Chinese Opera, and sharing very close relationships with their Chinese nannies. There are currently Armenians living in the cities of China, but Dr Mouradian stated that the current communities are not related to the ones he has studied; the previous communities of refugees, businessmen, families, and travellers from the Caucasus have been replaced by new communities of businessmen and students from the Middle East, Armenia, and the USA. Dr Mouradian also took time to answer questions from the audience. Discussions ranged from topics such as the importance of the Armenian’s metalinguistic knowledge, specifically of Armenian, Russian, Chinese, and French, to an elaboration upon the current Armenian communities in China. The latter point raised an interesting dialogue about the Armenian Genocide commemorations held in 2015 in five Chinese cities, and a discussion about the erasure of much of the previous communities, specifically regarding the transformation of the Harbin church into a factory and its eventual decay. Other questions addressed topics such as inter-marriages between Armenians, Russians, and Chinese, where documented evidence of the latter is rare, but where inter-ethnic friendships were very common; they also addressed the topic of Khorenatsi’s mentioning of Vartan Mamikonian’s East Asian ties prompting Dr Mouradian to enlighten the audience about various new studies regarding the relationship between the Armenians, the Mongols, and the Chinese over the course of history. By Raphael Gregorian in Uncategorized on March 2, 2017 .